Sometimes, you just need to brave the rain. And if you find yourself doing that more often, it might be time to keep an umbrella nearby and swap out your commuting bag for a proper water-resistant rucksack. Don’t want one of those bags that look like a raincoat? 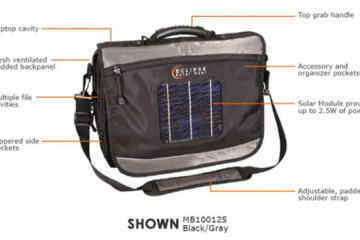 Not a problem, as there’s plenty of bags out there that can shrug off rain while keeping you looking dapper. Here’s a few of them. This minimalist pack is made from water-resistant blend of polyester and polyurethane, allowing you to brave the rain without getting your gear soaked. 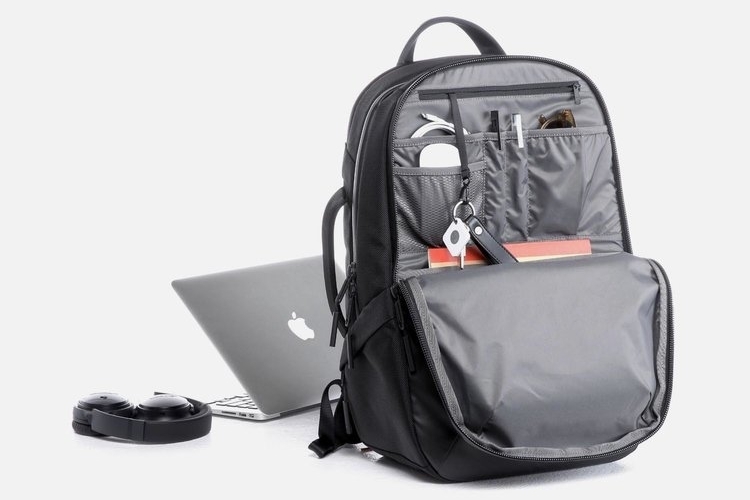 It has two zippered compartments – the main one, which has a 13-inch laptop pocket, and a wide pocket that sits out front. With its clean lines, singular color scheme, and unassuming style, it’s a perfect bag for everyday gallivanting, whether you spend much of those hours in school, at work, or exploring your surroundings. This daypack’s narrow tapered profile is designed to hold just the daily essentials with its 13-liter capacity, making it perfect for everyday jaunts around the city or a day hike at the local trail. Two zip pullers and a wide opening make it easy to access all your gear, whether it’s the 13-inch MacBook you’re using to work on the road or the clean shirt you’re changing into after a heavy workout. It has a water-resistant waxed-canvas construction for the shell and a dry-finish waxed canvas lining, with polyester webbing and stainless steel hardware. 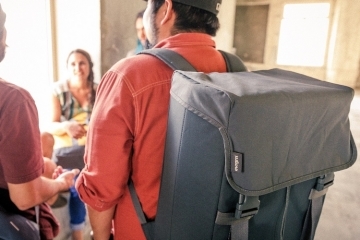 Billed as “the ultimate tech backpack,” this 22-liter pack has multiple pockets and compartments for organizing all your smaller tech devices and accessories, so you don’t have to wade through a mess of wires every time you need to find that one charging cable. As part of the outfit’s Work collection, this bag has its exterior fully treated for water resistance, while YKK AquaGuard zippers keep all the moisture out from all the exterior access points. It has a structured toolbox-inspired design that keeps it upright the entire time, while padded straps and handles (on both sides and top) offer versatile and comfortable carrying options. 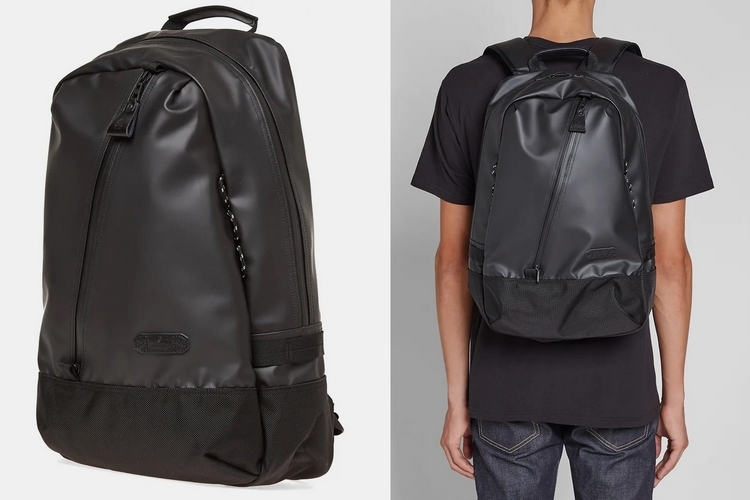 Made by Japanese label Master-Piece, this rugged backpack has a durable Cordura shell that’s coated with a German resin, giving the bag’s exterior a rubber-like feel that shrugs off water like a protective raincoat, while a ballistic nylon backing provides added durability, allowing it to handle abuse better than any ordinary rucksack. 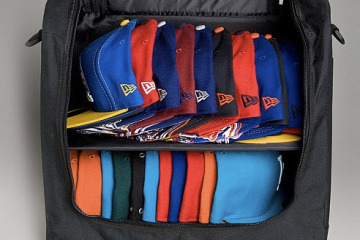 It has a dual-zippered main compartment and an asymmetrical zippered pocket for holding all your gear, as well as padded shoulder straps for carrying the whole thing comfortably. 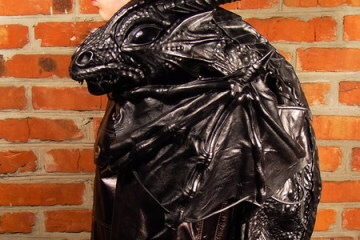 Other features include leather trims and elasticated loops. 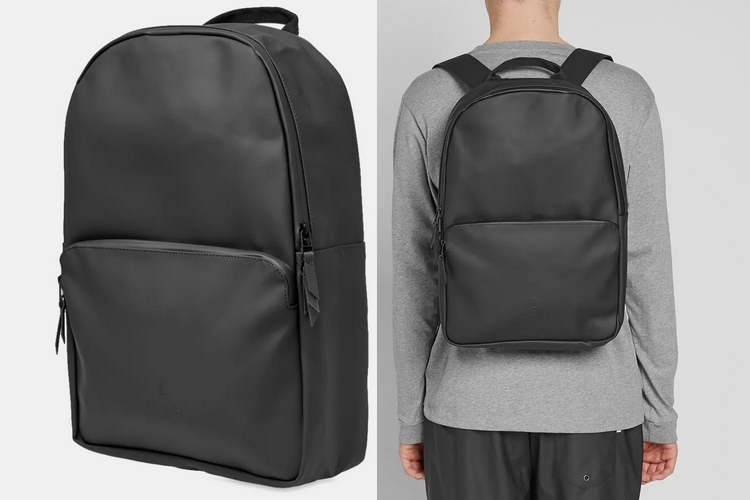 The third generation of the outfit’s travel backpack sports a streamlined styling that gives it a minimalist profile, while premium full-grain leather construction and waterproof interior lining allows it to keep out water during inclement weather. 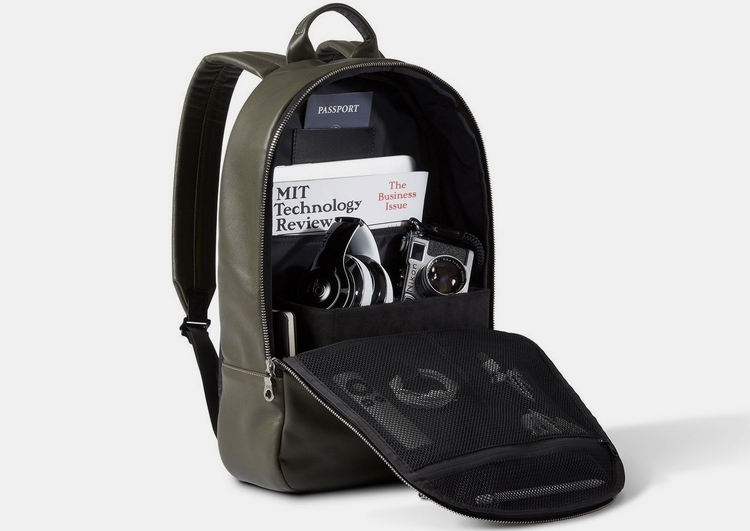 The interior comes with multiple pockets for organizing your gallivanting gear, from your headphones and camera to your passport and city guide, while a single zippered vertical pocket in the exterior provides easy access for smaller items. 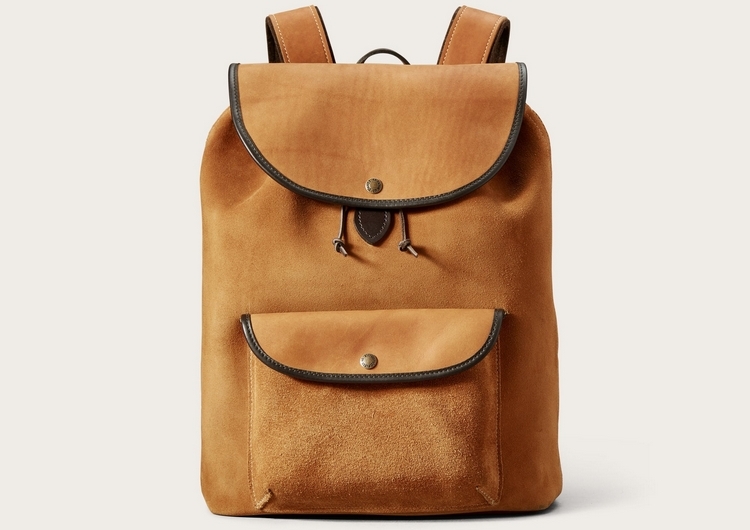 Billed to be “as tough as the boots on your feet,” Filson’s limited-edition backpack is made from five-ounce boot-grade, rough-out leather that’s been treated for water resistance during the tanning process, ensuring the water-repelling capabilities lie far deeper than just the surface. The outfit claims this material is built to last for far longer than a lifetime, ensuring you can indulge in its stylish design for many, many years. It measures 17 x 12 x 4.5 inches (height x width x depth), with a 19-liter capacity and a profile sized to fit a laptop (or tablet) up to 16 inches in width. 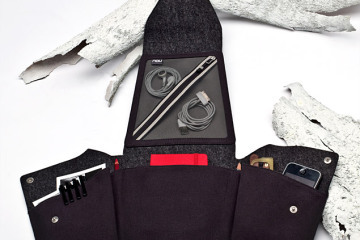 Features include a drawcord closure with a brass-snap storm flap, an oversized flap pocket, a wool utility pocket, a wool slotted pocket, an interior wool zipper pocket, and solid brass software. 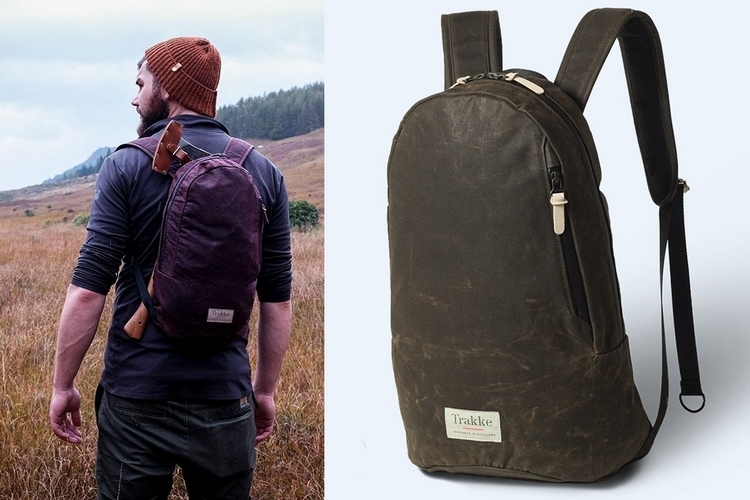 Designed to deliver the same excellent utility as a bicycle messenger bag, this gorgeous roll-top backpack is made using 2.4mm water-resistant Italian leather that, the outfit claims, bears the perfect combination of thickness, reflectiveness, and durability. A brass slide on the back allows you to adjust the width of the bag’s main compartment, allowing it to fit a 13-inch MacBook Pro in the tightest setting and a 17-inch laptop at the widest, while a divider, zippered pocket, and brass key hook in the main compartment make it possible to keep your gear organized. Each one is hand-cut and hand-crafted, by the way, which should give this some seriously hardwearing construction. I like the single angled zipper on the back pocket of the Master-Piece Slick Series Ballistic Backpack. 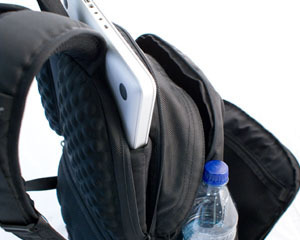 It makes for easy access to the pocket as well as being able to get to the bottom of the pocket easier if you have a lot of stuff loaded into it. 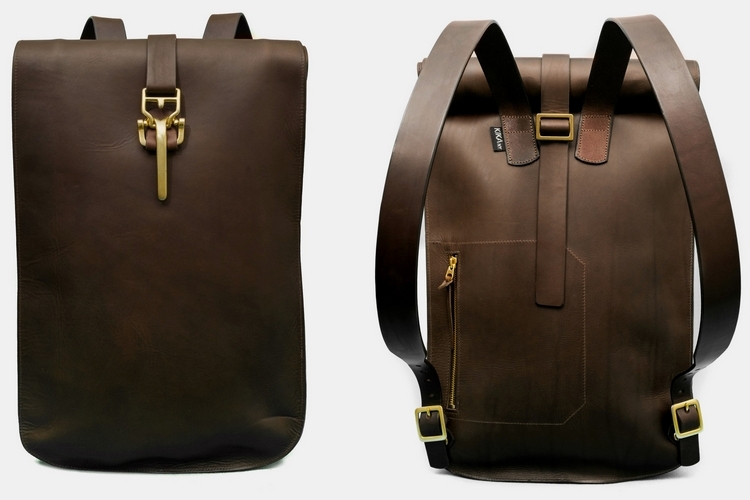 The Filson is by far the best-looking pack on this list, but no way I would drop $750 for that little day pack. For that amount, I could buy 3 high-end backpack from Hyperlite Mountain Gear and still have some money left over.